Main character Kentaro travels the country in search of stations not visited and station bentos not tasted yet. 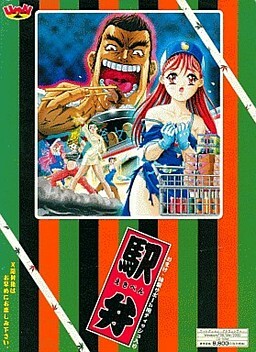 He does not have money to pay for station bento, so he pays with body and attacks the sales girl. It turns out that Kentaro is being watched by a mysterious "Senior upper alliance" organization. They are outraged that Kentaro was doing that right at the station depot, so now they are sending thugs after Kentaro one by one.